I had every intention of blogging about this right after watching it during preview night at San Diego Comic-Con. But then there was this whole con, you see, and parties and panels and the need for sleep. 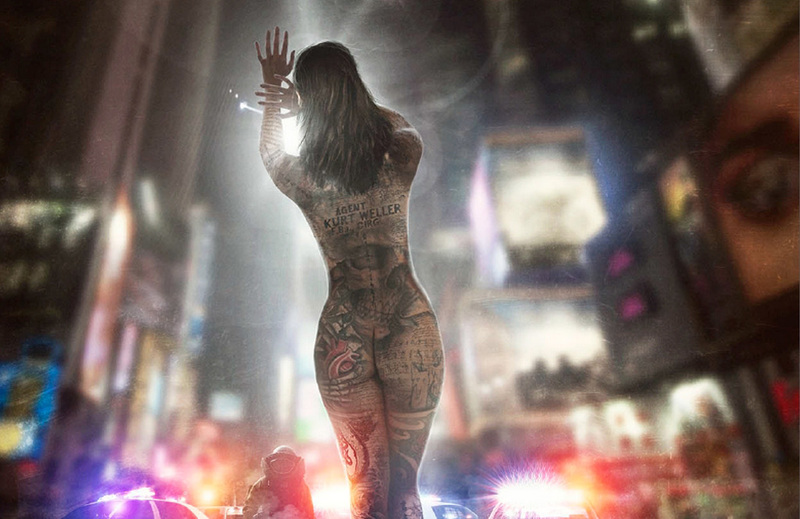 So if you’re interested in Blindspot, coming to NBC this fall, you’re probably already read or seen something about it. So I won’t recap the plot but rather just give some of my own impressions. This post contains SPOILERS for the series finales of Glee, How I Met Your Mother, Eureka, Friends, Chuck, Gilmore Girls, Smallville and Parks and Recreation. A series finale can be an oddly polarizing event. When people have invested themselves in a group of characters for years, they develop strong opinions about how a story should turn out. That’s why, when there are too many surprises, people are either really excited or really pissed. Wherever characters wind up in their personal or professional lives, what makes a finale brilliant is what I call pilot-finale symmetry. By far, the best example I’ve ever seen of this device was in Syfy’s Eureka. I wasn’t a huge fan of that show; I had only ever seen the pilot and a handful of episodes in each season before watching the finale. But my mind was blown when Jack and Zoe are leaving Eureka for the last time and they drive past themselves driving in. That, my friends, is payoff. It doesn’t change the storyline of the characters, per se, but it shifts our whole understanding of the story. Some finales execute a smaller scale pilot callback. Chuck (Chuck), though his spy skills have grown a hundred fold, disarms a bomb the same way he did in the pilot. Lorelai and Rory (Gilmore Girls) are last seen eating at the diner just as they were when we first met them. But when I talk about symmetry I’m taking about taking something we already know and deepening it. Glee did this really well, but more on that in a moment. Many finales flash forward, as if to oblige the audience’s need to know that everything turns out okay. This can be fun, but I think it underestimates the viewer’s imagination. I’m loathe to admit it, but I found the recent farewell of Parks and Recreation disappointing. It bent over backwards to prove to us that everyone in Leslie’s circle had a happily-ever-after, squandering precious time that could have been used to just tell a story to its conclusion. There were a few brief flashes of the pilot, but they were used as set dressing, for cheap tears. Although the final season was an absolute hoot, the ending made the show’s swan song feel like a gimmick. Glee tried to have it both ways. The second hour was the flash-forward-everything-turns-out-peachy variety. (Seriously, everybody ended up famous?) It was the first hour that was truly creative. Titled “2009,” it told the same story as the pilot, but with a fresh perspective, by filling in action that originally took place off-screen. 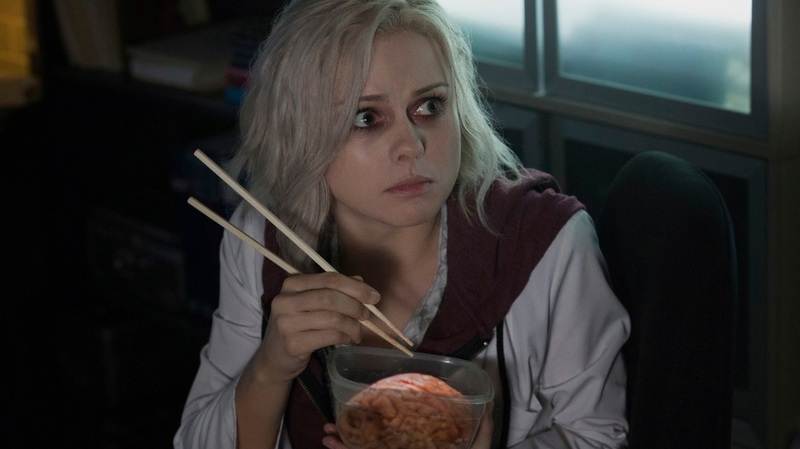 It tapped into the originality that made that made people sit up and take notice when the show premiered — that made it groundbreaking and unexpected — but was eroded in a deluge of guest stars and themed episodes. We found out things we didn’t know about characters we’d just spent years getting to know, most notably Kurt. Kurt has always been the “star” of the show for me, his relationship with his dad being the most moving story. We knew that Kurt had suffered while isolated in the closet, but this showed us how much. The finale also gave us a taste of an Everyone Meets Everyone episode. Such a device could have been stuffed in as filler anytime during the course of the series, but this gave the show bookends that allowed us to focus on the original set of core characters including, significantly, one who died along the way. 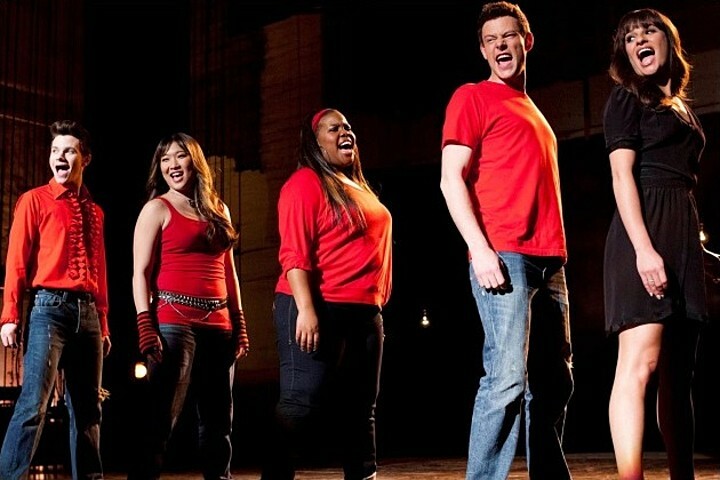 The initial performance of “Don’t Stop Believin'” led by Finn and Rachel blended smoothly into the “new” action. We needed a little more of course, considering that Cory Monteith, and not just his character, died tragically in 2013. In the finale’s second half, it was impossible not to tear up when the McKinley gang dedicated the auditorium to Finn. But then, did they even need to flash forward to do that? It would have been just as touching in the present (2015). As a pilot enthusiast, I love a finale that knows its roots. So I could have stopped watching after the first hour and been perfectly satisfied. Spock: the “most human” all along? I’ve been waiting a long time to blog about the pilot of Star Trek, in part because I couldn’t decide which “pilot” to choose. The unaired one, “The Cage,” would not have been the world’s introduction to the character of Mr. Spock (Leonard Nimoy), being unaired and all, but it now serves as a record of how that character was first imagined. As we mourn Nimoy’s passing earlier today, it’s time to think about the character with whom he was virtually synonymous. Upon Spock’s sacrificial death in Star Trek II, Kirk famously declares, “Of all the souls I have encountered in my travels, his was the most… human.” Spock’s heritage doesn’t get unpacked in “The Cage,” but apart from his appearance, he doesn’t come across as any different from his human shipmates. Spock speaks the first words of the episode. He’s giving instructions on the bridge regarding a strange signal that The Enterprise is picking up. Although Capt. Christopher Pike (Jeffrey Hunter) sits in the captain’s chair, it’s the pointy-eared half alien Science Officer we first see in control. When it turns out the signal may be coming from a marooned Earthling ship, Pike wants to stay the course and ignore it. Spock wants to go investigate — a compassionate and not exactly logical choice. The episode gives us a bit of insight into how Starfleet treat women versus men; the ship’s First Officer and Yeoman are both women and, although Pike indicates that he views the latter as more feminine than the former, this episode has nothing on the actual pilot for sexism. That’s probably another post. The plot of the episode concerns a race of people who communicate telepathically and want to build a colony of humans like a zoo exhibit. They have their “Eve,” thanks to the crew that crash landed 18 years earlier, but they’ve been seeking their “Adam.” Their choice, Captain Pike, can’t be contained, of course. The zookeepers take out the power on The Enterprise, attempting to use the ship and crew as bargaining chip. This time, it’s Spock who wants to cut the crew’s losses and bail. Perhaps bookending the story with these two antithetical orders was an attempt to illustrate Spock’s dual nature. There’s surprisingly little action in tin the episode, which is likely what was “wrong” with it. There’s some cool technology, including of course the transporter. But other than a nifty laser, we don’t see much in the way of weaponry or pyrotechnics. The focus is more on human emotions, desires, and dreams. The pacing is slow, and one can imagine a network not wanting to introduce its new sci-fi action series this way. That’s okay. It lives on, if just a step outside of canon. And Spock lives on. 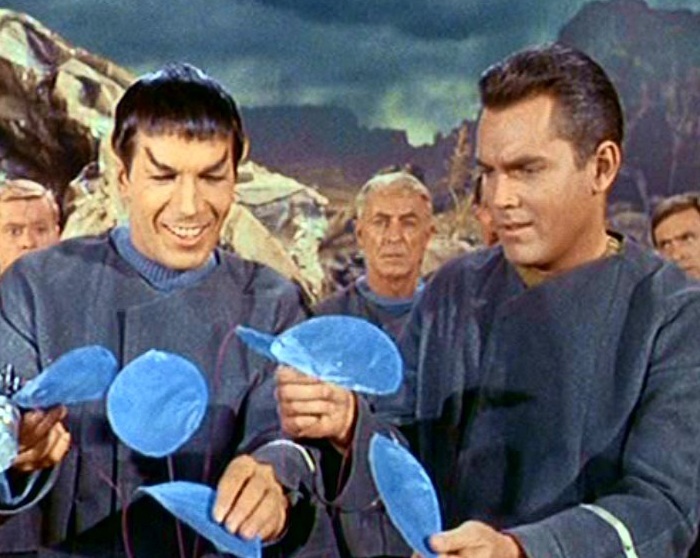 Smiling aside, Nimoy is the only member of the cast who hung around for the series, so apparently he hit the mark. Geeks around the world have shed tears today, in unabashedly human grief. LLAP. WARNING: Spoilers for season 5 of The Walking Dead. In honor of Noah, the latest addition to the Ricktatorship, played by Tyler James Williams, I decided to evaluate his fighting skills in the pilot of the show that made him famous. And while we’re talking about Tyler James Williams, how cute is this? Mallory Archer and her ad hoc family on Archer will no longer work for ISIS, thanks to a certain bunch of a-holes who are using the same name to rain death and destruction in the real world. Sad as I am about that, I can’t help but remember that Archer wasn’t the first pop culture use of the name Isis. 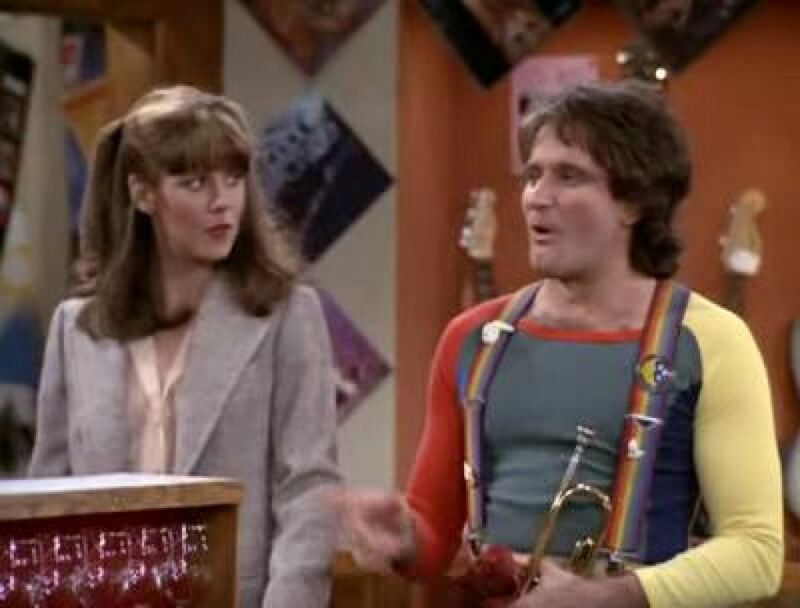 Mork form Ork wasn’t Robin Williams’ first role, but it was certainly the one that made him a household name. So, as we mourn the passing of a man whose life’s work was to bring joy to others, I thought I’d take a look at the pilot of Mork and Mindy. 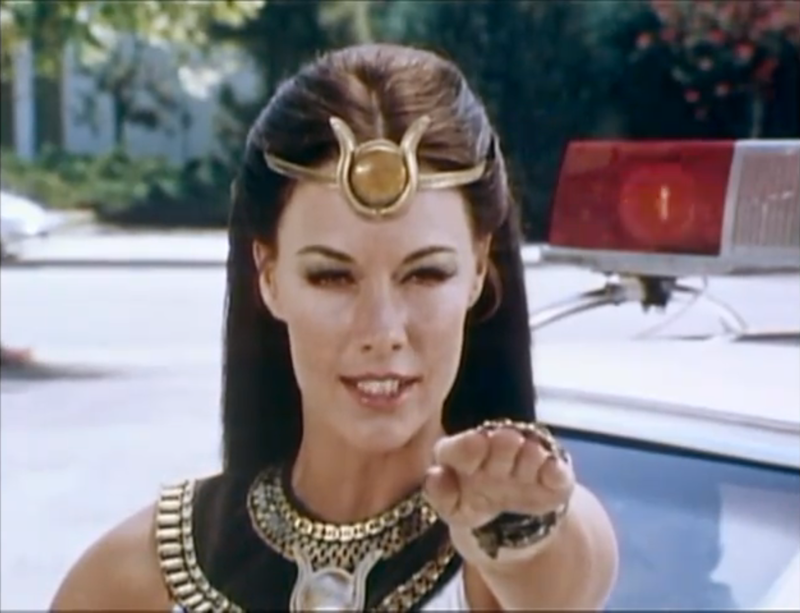 It premiered in 1978, after the character earned raves in a dream sequence on Happy Days. Mork’s story is told in linear fashion, with one exception, which I’ll get to in a moment. The show opens with him being called into the principal’s office, so to speak, as he appears before the shadowy Orson, his boss. Orson (named for Orson Welles?) reprimands Mork for his constant joke-making. Humor has no place on their planet, so Mork is being sent on assignment to Earth. During the pilot episode of Constantine, the eponymous character (Matt Ryan) says something about impatience being a 21st century disease. 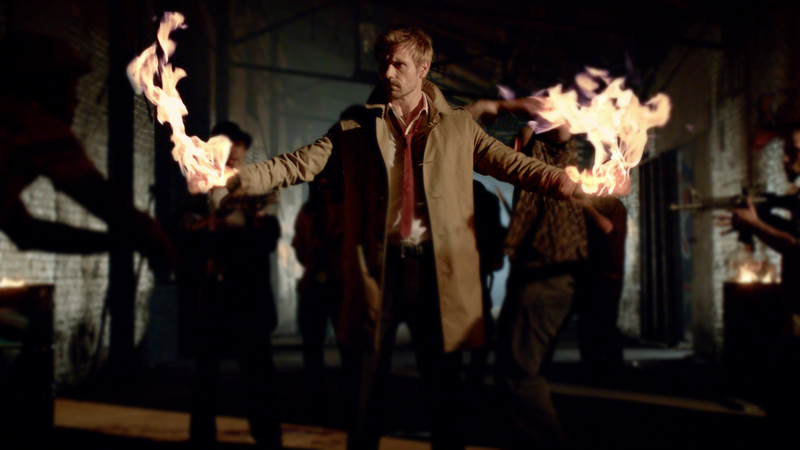 It’s an apt observation in comparing the two pilots screened last night at San Diego Comic-Con, The Flash and Constantine. 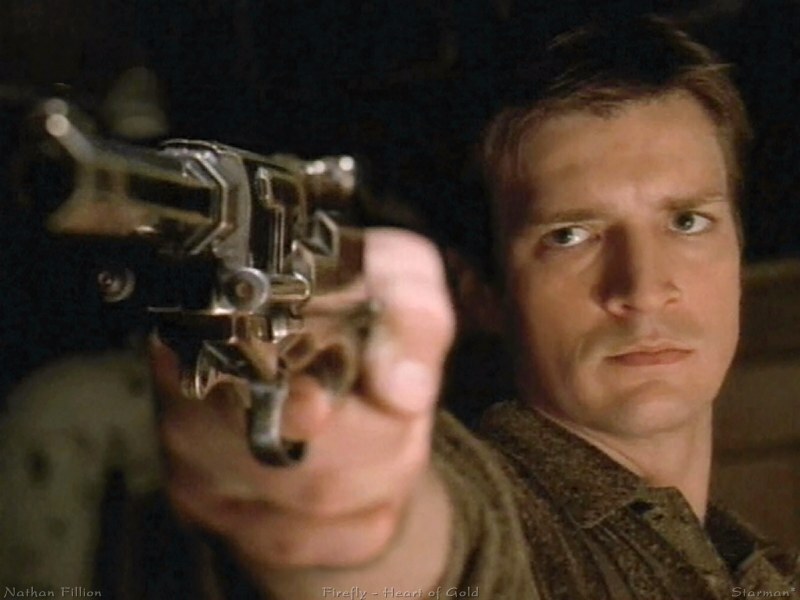 What makes a good sci-fi pilot? Mal Reynolds. Awesome. Not crazy. 1. Don’t overdo it on the exposition.